Will This Never Be Resolved? Join James Randi, "Bad Astronomer" Phil Plait, and Hal Bidlack on a journey of exploration, conversation, and edification. Want more? View past issues of Swift and Randi’s opinions. Click here. Help support the JREF through grants, donations, gifts and memberships. Or try our RSS feed! Back in April of 1995, I’d been contacted by the Oprah show and made an offer to do a second appearance with them. I simply told them, “No thanks”; I’d already been sandbagged by that show. In that appearance, I’d been told, just before I left my hotel for the studio, that the previously-scheduled “psychics” – for whom I was well prepared – would not be showing up. I went all the way out to the location and then found out, moments before the show went on the air – live – that those major "psychics" actually were appearing on the show. Though I’d prepared video and newspaper material to contradict the pompous and false claims of those two scheduled “psychics,” I’d left the data behind at the hotel when told I'd be without opposition, and I had nothing in hand. It was a blatant, calculated lie designed to trap me, and I fell for it. But I’d not do it again. 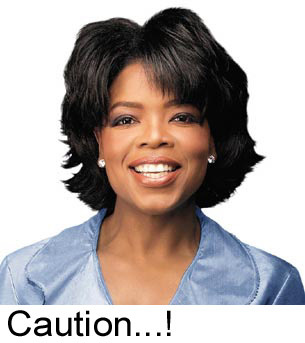 I'm sure Oprah doesn't need me, and I have no need of such unethical behavior. There are rules, even though Oprah doesn't seem to know them. Reader Daniel Calder rightfully points out what has happened to what we might assume to be a company connected with our friend Norman Edmund – who just turned a remarkable 91 years of age this last Tuesday, and is still active and frisky, and working on a new project. Norm lives here in Florida, very near to the JREF. His name is attached to the famous Edmund Scientific Company, and for many decades he dealt in science kits, scientific equipment, lenses, lab apparatus, and teaching tools. And, he’s written extensively on the subject. I am disturbed by the inclusion in your otherwise excellent science catalog of an item called a "Microcomputer Therapy Apparatus," a product listed as #S30813-83. Link: www.scientificfun.com/details.php?pid=586766833. In your online catalog, you claim that this device can "Diagnose and cure a range of acute and minor illnesses," including "everything from diarrhea to arthritis." This device claims to do this by means of "the six traditional Chinese medical functions of hammering, acupuncture, naprapathy, cupping, scraping, and massage." If any one of these so-called "medical functions" has been shown through clinical trials to diagnose or cure any diseases, I am unaware of it. Since such specific and important claims are made for this instrument, I believe that these claims need to be substantiated. Please refer me to the peer-reviewed studies that back up these claims. If no such studies exist, you have an obligation as an educational and scientific company to stop making these spurious health claims, and to remove this product from your Scientifics catalog. Keep Sniffex® away from children. Sniffex® is not a toy. Other than "Container 19," the "Sniffex is not a toy" line is one of my favorites. After seeing the link to the apparently fake JamesRandi1 Myspace webpage someone posted on the JREF forum (http://profile.myspace.com/jamesrandi1), the blog entries on that Myspace page, and the stuff on the freewebs webpage that the Myspace page links to, I would say Mr. Johnson doesn't seem too happy with you. Certainly we can't assume he created those pages, but it does seem to be someone close to the company and sympathetic to it. Despite his opinion to the contrary, I think it is only fair that consumers are informed that the explosive detection product they might be considering buying is deemed by the scientific and engineering community as "bogus" and worthless. From what I have seen on the internet, your site seems to be the only one with readily available information on the product and the fact that it has never been proven to work. In fact, the Navy tests show pretty well that it doesn't work at all. Does Johnson's comment in the e-mail exchange about not being able to afford to continue to sue you mean he dropped his lawsuit? If so, congratulations. Steve, that is, as you surmised, a fake James Randi MySpace page. Whoever put it up there, merely runs the correspondence I’ve had with this strange Johnson person, all of which has already been published here. The real MySpace page is at www.MySpace.com/theamazingrandi, though I admit that I’ve not had the time to go there and peruse it to any extent. Yes, Johnson dropped the suit as soon as he found that he’d be deposed by our lawyer. Due to the remarkably inept way American law works, we were unable to collect any legal costs from Johnson; the USA is the only country in the world where a civil legal attack does not call for the attacker to pay the legal expenses of the attacked if the case is lost or dropped. The Sniffex reincarnation of the MOLE reincarnation of the Quadro tracker makes one wish that we could have a set of special laws to get these people behind bars immediately to protect the public good. Anyway, as a science teacher, I routinely use your commentary examples in my classroom – both as serious examples of "bad evidence" quackery, pseudoscience etc., and also as comic relief – these things really would be hilarious if they were not doing so much damage. I also like to let these quacks know that they are the subject of discussions within our schools. I try to make this point whenever I can – my hope is that they won't like the idea that they are being talked about and "made fun of" when they take themselves so seriously and often consider themselves quite clever. Of course I could not do this without the wonderful examples afforded me in your weekly commentary for which I am most grateful. The only good that I can see in the demonstration of the truth of “Spiritualism” is to furnish an additional argument against suicide. Better live a crossing-sweeper than die and be made to talk twaddle by a “medium” hired at a guinea a séance. Greetings Challenge Team. I would like to let you know that certain events will soon be happening for all the peoples of the Earth to see. When I was a boy I seen things in the physical realm happen from the pricipalites [sic] of the spirit world. I was very scared and nervous of certain encounters. 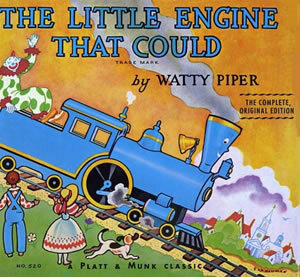 I tried so hard to keep things in perspective by trying to look for a ''logical explantion'' [sic]. Yet sometimes logic falls and fails very short of reasoning with normalities [sic]. I had to block most of it out of mind [sic]. Yet not only was I contending with that, but I was also having increased visions of the future in my wreckless [sic] sleep. Greetings. You only offer a small amount of money for a big task. Good will, John. Drat! Yet another opportunity to award the prize, thwarted! In an article in the press I am informed that the Zoo has paid $4500 to a "Feng Shui" consultant (Simona Mainini?) to ensure the "life force" of some new monkeys. If this is true, I would like to express my strongest objections to the use of zoo funds for such an idiotic and superstitious waste of money. I am a zoo member, and I am shocked to find out that my contributions to the zoo every year are being essentially thrown down the drain by hiring such charlatans. Feng Shui is just another of many fraudulent methods to separate the credulous from their money. It has no basis in reality, has been shown to be nothing but a humbug, and despite its proponents using the term, “science of Feng Shui,” it is about as far from science as is reading the entrails of a chicken to predict the future. In short it is a fraud, and I am most dismayed that the zoo would waste valuable funds on it. As a member I must demand that the money be recovered from the con artist who received it, or at least from the "architect" Charles Mays, and be used for real expenses rather than imaginary ones. I am forwarding this email to several organizations that specialize in refuting quack claims, as well as the city of Los Angeles, and anyone else who might be a zoo stakeholder. Rest assured that this egregious misuse of zoo funds will be made public. The amount paid for this fraud is more than all my contributions to the zoo in total. This means I could have just as well flushed it down the toilet. I am a great supporter of the zoo and its efforts to educate the public and save endangered species. I cannot however support the zoo any longer as long as the zoo allows its funds to be used for such pseudoscience nonsense. When can I expect to hear that the zoo has recovered the money spent on this foolishness, and when will the zoo make public the name of any persons connected with the zoo staff or administration responsible for this transaction? Accountability is paramount in a charitable organization, especially one doing work as important as the LA Zoo. Until I hear that steps are being taken to rectify this situation I will withhold any further contributions to the zoo, and will encourage my friends to do likewise. Peter, I wish that others would care enough to send similar letters off to officials concerned with such matters. Thank you for caring. …capable of protecting the skin from the accelerated-ageing effects of all indoor and outdoor air pollution but most significantly, the effects of Artificial Electromagnetic Waves. …suitable for all skin types, for men as well as women. Remember – Artificial Electromagnetic Waves are present 24 hours a day and effect [sic] men’s skin as well as women’s! Well, I’m buying gallons of it. I’ll take no chances with those Artificial Electromagnetic Waves…! My friend Rick Sapphire just sent me a copy of out-takes from a Wonderama TV appearance he made in 1962. Sonny Fox was the host, as Rick flubbed his first two entrances… Thankfully, it was not a “live” program. It hurts, even after 45 years, to watch this. Go to ricksaphire.com/outtake.html. Saturn doesn't have 19 moons. The number you refute, 33, is close to the number of officially named moons, 35. The current total is 56. Your claim of 19 with "smaller orbiting chunks" doesn't match the facts. The real mistake in the quoted sentence is the claim the Phoebe orbit is "almost perpendicular to Saturn’s equator." The inclination is only about 30 degrees. [Dr.] Cha appears to be violating state law by using MD after his name on websites and in news releases in California in spite of the fact that he is not licensed to practice medicine in the state. Also note that Cha still claims to be a professor of obstetrics and gynecology at Columbia University, although the medical school dean states that he was only a "visiting scientist" – never a professor or even an assistant professor. In any case they say he has had no connection whatsoever with the university for many years. But this next item you will really get a kick out of: Cha's website also indicates that his astrological sign is Sagittarius! Astrological sign? Yikes! See http://tinyurl.com/3e4hmc. Is this a joke? Apparently not. His site also indicates that his Zodiac year is the Dragon! Zodiac year? Yep! 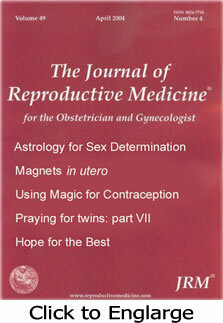 Although Cha does not appear to have a license to practice medicine and although he does not appear to be board certified in ob/gyn in the USA, the doctor's astrological credentials apparently remain uncontested! 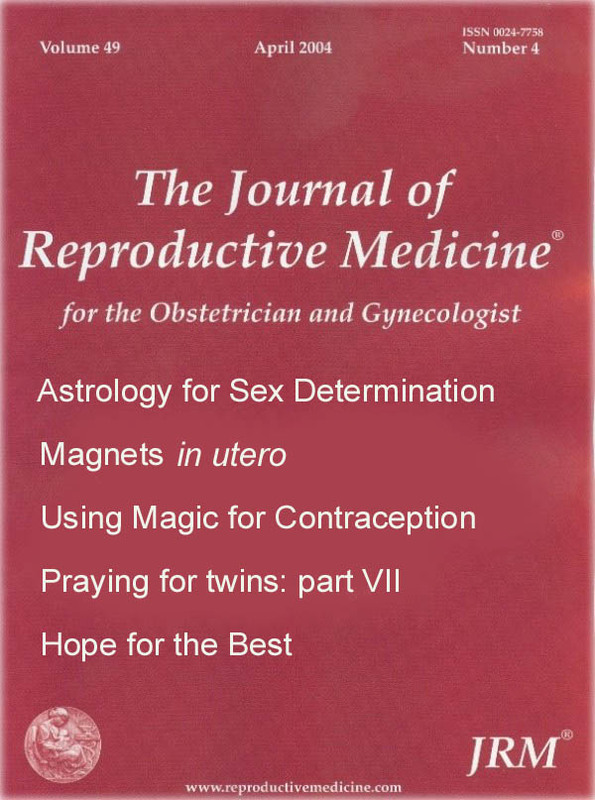 As you are well aware your journal is rapidly losing its credibility within the scientific community due to your refusal to retract the fraudulent Cha/Wirth/Lobo "pray for pregnancy" study published in the JRM. I thought I would also bring it to your attention that your journal's standards will now be used as an example of "bad" science in classrooms across the country and around the world. As a teacher and textbook author I routinely describe and champion the powerful and highly successful "objective" nature of science. 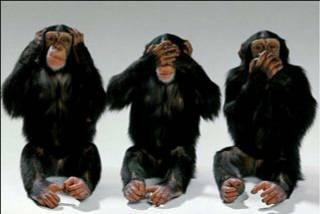 However I always take care to note that while the methods of science are successful because they reduce bias, they are still conducted and interpreted by humans and you can't always take the "scientist" out of the science. Perhaps I should be thanking you – my students prefer "modern day examples" that they can relate to. When describing bogus science I usually refer to the case of Blondlot and his mysterious "N-rays" – now I have a recent and "excellent" example to add to the mix – and right out of a peer-reviewed science journal, no less!! Your refusal to retract the clearly fraudulent study – which is now presumably a significant embarrassment – serves to highlight the worst abuse of scientific standards. Perhaps you are a "believer" yourself and cannot overcome your own wishful thinking, but for the sake of your journal I suggest you do otherwise. Until such time as you take action, I will continue to present your journal to young aspiring scientists as a model of credulity and disrepute. The superstitious public seems to have quite an influence on the travel industry. A quick sampling of European airlines on SeatGuru shows that there is rarely a seat row 13 on an airplane. SAS, Air France, Lufthansa, KLM and Swiss all disguise row 13 under a different number. British Airways does not, nor does Aer Lingus seem to, as far as I can tell from their online seat reservation demo. It doesn’t seem to bother the Americans much either, with American Airlines, Delta, Northwest and Southwest happy to acknowledge the modern, rational age. Not Continental though. Hotels often “lose” floor 13. In Asia, floor 4 might be missing, since that number is considered unlucky. In Hong Kong, where East and West collide, a hotel might pander to the superstitions of both traditions and omit both 4 and 13 (and possibly 14 and 24 too, since they both contain a “4″!). Descartes, the famous French philosopher who said – “I think, therefore I am” – is at a bar.